Installing insulation is a great way to make your house feel warmer and to help it retain heat in the winter. With the right insulation, you’ll also keep the cold air that your AC units produce in the summer and vice versa in the winter. While installing it may seem like an easy task, there are some negatives associated with this task. Read on to learn more. The biggest problem associated with installing insulation yourself is that you can cause significant damage to the systems in your home. If you cut holes in the walls to use blown-in insulation, you risk cutting right through the wiring in your electrical system or breaking a component attached to your HVAC system. You may not realize that you caused any damage either. Any fraying or cuts in your electrical wiring can cause a fire to break out inside the walls. Professionals know exactly where to cut and what to do to protect all the systems in your home. While insulation does a good job of keeping your home at the right temperature, it will not work without the proper sealing. You generally need to install or replace the rubber sealing or metal gaskets found around lighting fixtures. A home that is up to code will also have sealing around any vents or areas that lead outside. If your home lacks proper sealing, your insulation will not work the way it should. Those gaps let air get out of your home and it also lets drafts reach the interior. 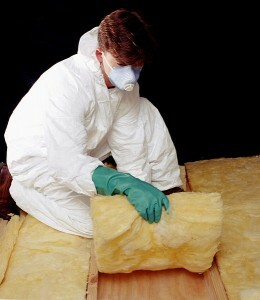 There are many different types of insulation to choose from. Without the proper knowledge, you may choose a type that is less effective for you specific needs. A professional will do an inspection of your home and make a recommendation on if you should have Spray Foam, Batt, or Blown-In. They will advise which options are the best for your specific home, as well as air quality, sound attenuation, and which will save you the most on you heating and cooling bills. To learn more about HVAC systems, energy efficiency, or to get a free quote on insulation, contact USI online to find a branch near you. USI believes that excellence in every step of the process and ensures timely completion and quality of service, time after time. ← What Is the Benefit of Replacing an Air Filter?